The power industry is seeing large amounts of distributed generation being added onto the electric power distribution system. This presents a new set of issues, especially for renewable generation with variable intermittent power output. 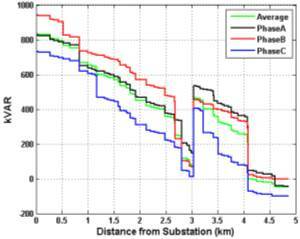 It is important to precisely model the impact of solar energy on the grid and to help distribution planners perform the necessary interconnection impact studies. The variability of solar and loads makes the analysis increasingly complex. Both accurate data and time series simulations are often required to fully understand the impact of variability on distribution system operations and reliability. 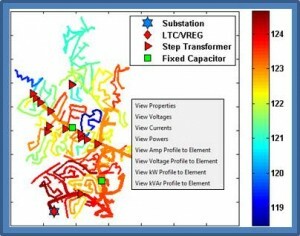 The GridPV Toolbox is now available to model and simulate the integration of distributed generation into the electric power system and to determine the impacts on the distribution system for highly variable generation. It is available for download and is supported with a manual that describes the functionality and use of a MATLAB toolbox of functions. It uses OpenDSS to model the distribution system and performs time series analysis and dynamic control. 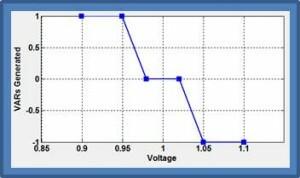 OpenDSS is an electric power distribution system simulator that is open source software from the Electric Power Research Institute. MATLAB provides the frontend user interface through a COM interface to control OpenDSS. OpenDSS is command based and has limited visualization capabilities. By bringing control of OpenDSS to MATLAB, the functionality of OpenDSS is utilized while adding the looping, advanced analysis, and visualization abilities of MATLAB. GridPV Toolbox is a well-documented tool for Matlab that can be used to build distribution grid performance models using OpenDSS. 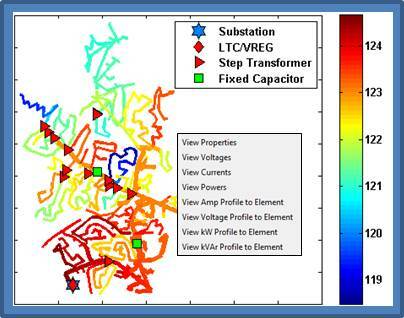 Simulations with this tool can be used to evaluate the impact of solar energy on the distribution system. The majority of the functions are useful for interfacing OpenDSS and Matlab, and they are of generic use for commanding OpenDSS from Matlab and retrieving information from simulations. A set of functions is also included for modeling PV plant output and setting up the PV plant in the OpenDSS simulation. The toolbox contains functions for modeling the OpenDSS distribution feeder on satellite images with GPS coordinates. The toolbox was developed at Georgia Tech and Sandia National Laboratories.